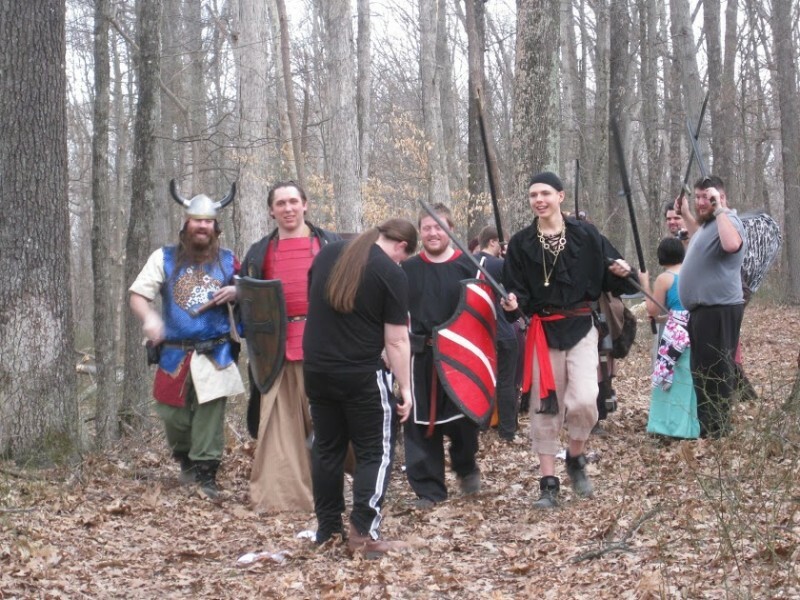 Yes, I finally did it: I went to a LARP. 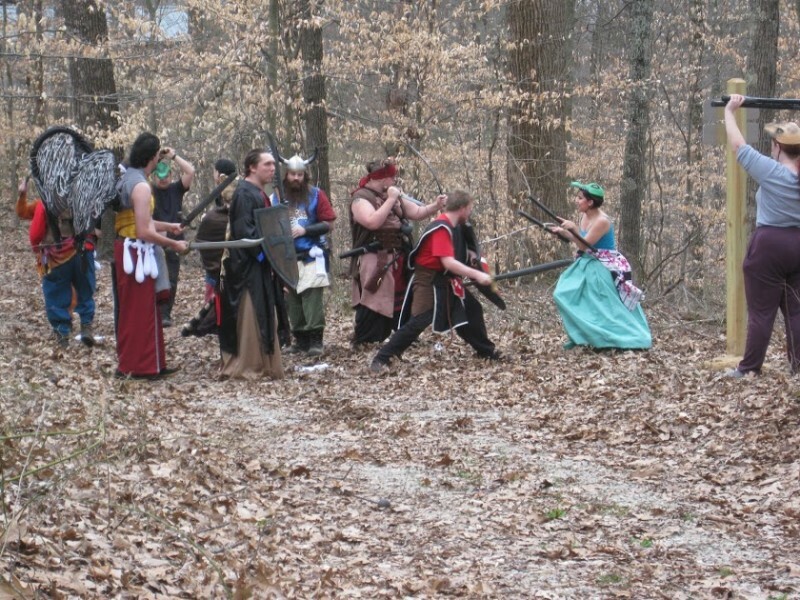 A real, actual LARP. A little backstory for everyone: when I was a freshman in college, many many years ago, a couple of friends felt it’d be a great idea to start a Vampire: The Masquerade LARP. They loved role-playing, and they thought it’d be awesome to do some live-action Vampire: The Masquerade stuff. So, they herded together a bunch of friends who they thought would have fun in a Vampire LARP, and nudged us in the direction of character creation, and then bam! LARP night at their house! It didn’t work out all that well. First off, we didn’t have actual character sheets – we were just told to pick a vampire clan and go with that. We ended up with a very unbalanced group, given that 3/4ths of the people playing chose to play characters from one clan. Second off, there was no combat. Or story. Just a bunch of college kids, sitting around in the living room of a former fraternity house, acting crazy and wearing costumes, drinking wine if you were old enough and pretending it was blood. But then I met J. 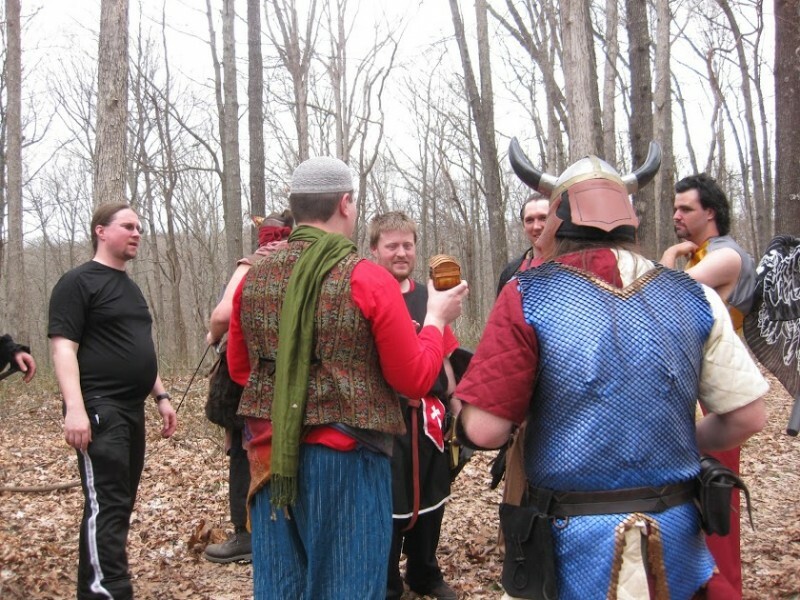 And learned what LARPs are really like if they’re run well. Combat time! Our brave adventurers came upon a nest of sand dragons. 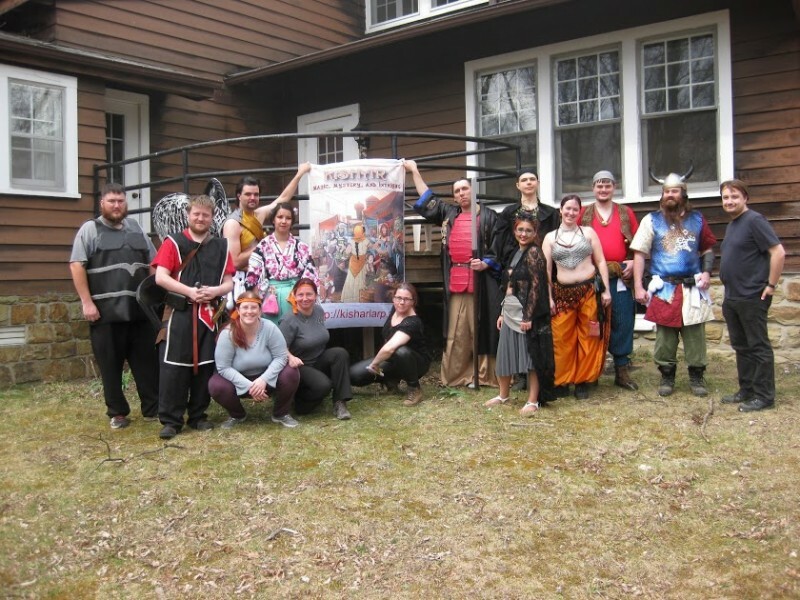 When I met J last year, he told me about the LARP he ran – Kishar – and said I was welcome to come to a game if I wanted to. And I ended up waffling about it for a year or so, based on my bad experiences in that Vampire: The Masquerade LARP I went to back in 2000. I kinda wanted to join up, because as you probably know, I do enjoy any excuse to get into a costume. And I was always interested in boffer fighting (where weapons are made out of foam and latex), even though I wasn’t ever sure where to get started with that. And the setting, which draws on the Arabian Nights stories for inspiration, was intriguing. So I said “heck, why not? I’ll go to a game, see what it’s about.” And I did – at the end of March. I wasn’t feeling super well that weekend, so while new players typically play monsters, I ended up trailing the group while they were out in the woods fighting, and taking pictures. It was a really good way to get a feel for how combat works, and to listen to the story and see some action as it happened. While I only knew a handful of people in the group, everyone was welcoming and friendly, and despite feeling pretty cruddy physically, I had a pretty darn good time. Our brave adventurers examine the loot they got off a group of bandits. After I absorbed everything going on in Kishar for a weekend, I ended up deciding “yes, this is a thing I want to do” and started crafting a character in earnest. My character will be Ëlinyr (pronounced ay-lin-ear), a sun elf scholar who studies and uses magic. And as I started putting together my character, I realized this is the most perfect way to get my crafty nerdiness on. 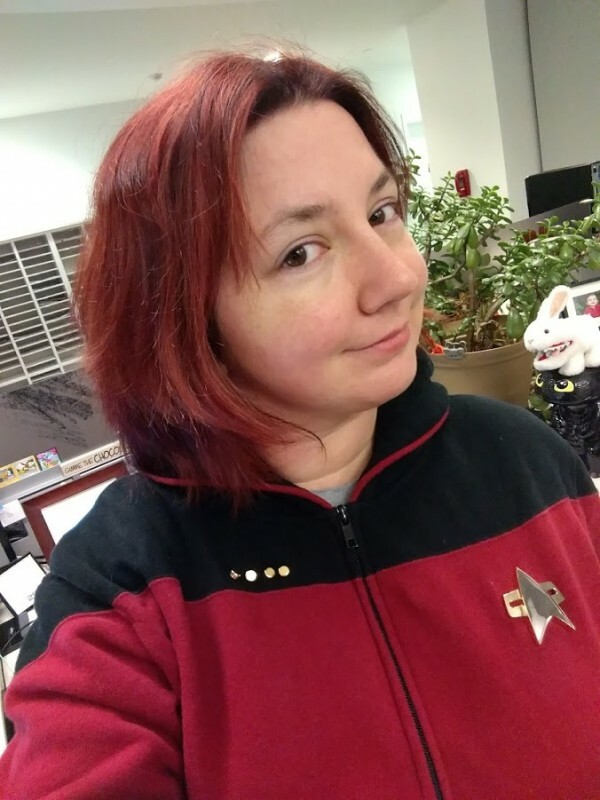 Not only do I get to make a roleplay character (and therefore indulging in my nerdy side), I also get to put together a costume (which brings in the crafty side of things). 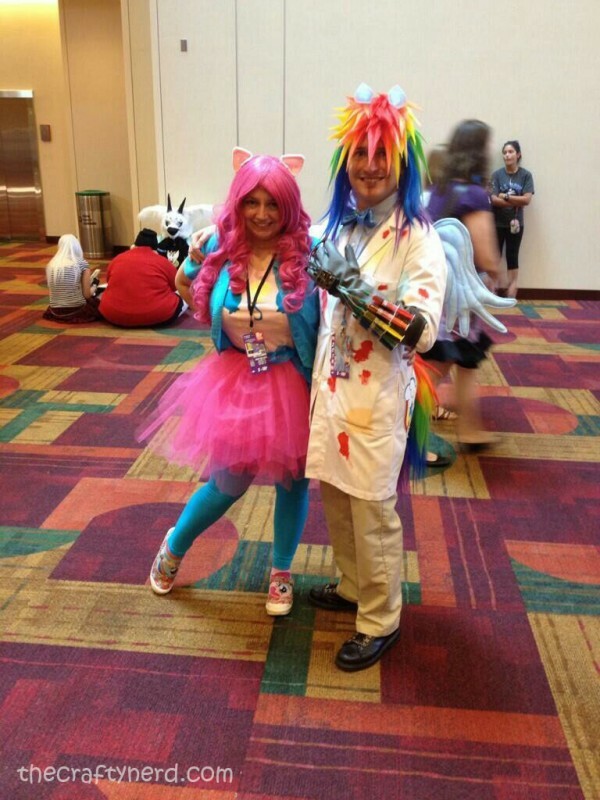 And as I said earlier, you all know how much I love making and wearing costumes. 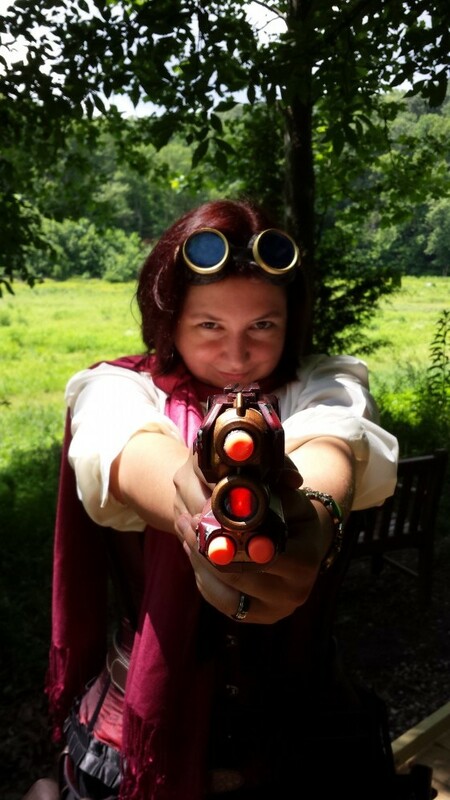 Most of this past weekend was spent working on Ëlinyr’s costume, to get it ready for the next game. Our brave adventurers killed a baby scorpion monster! So, I’m really excited about having this new place to get my craftiness and nerdiness on. As I said to J after the game ended, Kishar feels like Gen Con and summer camp combined, and it’s awesome. And who knows, maybe I’ll get Ross into it too, and we can run around the forest in costumes together!